For more than 11 decades, W.F. Hann & Sons has been the go-to company to handle AC repair work, AC installation and any AC service to business owners and homeowners throughout the Cleveland Metropolitan Area and Northeast Ohio. W.F. Hann & Sons is credited for always supporting the time-honored traditions of excellence. We have been providing safe and reliable AC repair work, AC installation and AC service procedures since 1907. Our customers know that we are dedicated of delivering the finest AC service they deserve. We are also able to manage any malfunctions and restore our air conditioners at prices that are competitive and affordable. These are just a few of the countless reasons that whenever Hudson residents are seeking unequalled AC repair, AC installation or AC service, the only name they need to know is W.F. Hann & Sons. Situated in Summit County, Hudson, Ohio is a suburb of Akron and part of the larger Cleveland-Akron-Canton statistical area with over 22,000 residents. W.F. Hann & Sons is located at 26401 Miles Road in Warrensville Heights, and it is 16 miles north of Hudson. 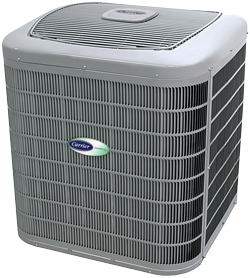 Hudson residents, who are seeking AC installation, AC service or AC repair work, contact W.F. Hann & Sons’ NATE (North American Technician Excellence) certified technicians. Our AC service pros are unparalleled experts who will guarantee to immediately and expertly handle our Hudson clients’ needs. We have the skills and background required to help Hudson customers obtain the essential cleaner and healthier environment at an affordable price. W.F. Hann & Sons endeavors to not only meet the expectations of our Hudson customers, but we are celebrated for constantly surpassing them. With our high-tech expertise, W.F. Hann & Sons guarantees that their clients get the essential AC service, AC installation and AC repair work to which they are entitled. Client satisfaction is our ultimate goal, and we will always do our best to customize all AC service systems to their precise needs and specifications. W.F. Hann & Sons has the talented AC repair and AC installation technicians who are fully-insured and licensed in all matters of AC service. Besides being factory-trained before going into the field, our crew will always be respectful and courteous to all clients. For any unexpected emergencies, W.F. Hann & Sons is on-call 24/7 to assist our valuable customers. Call, us, at: (216) 831-4200 to make an appointment for AC repair, AC installation or AC service.